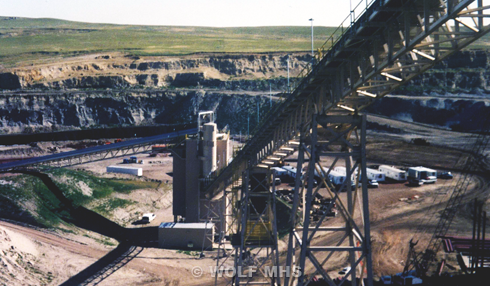 Wolf Material Handling Systems provides complete engineered material handling systems and equipment to the mining industry. One of Wolf’s largest jobs was complete design, supply, erection, and commissioning responsibility for a mine to rail project. This includes truck receiving of 48” minus coal, sizing, crushing, blending, over-land conveying, silo storage, reclaim, and unit train load-out. Wolf has the expertise to optimize your system for performance and minimize parasitic horsepower. Wolf offers a Performance Guarantee on each system design.